Swoon Style and Home: Say it Nate So!! So how's this for a post-holiday bummer ... did you guys hear the news? The very sad news? 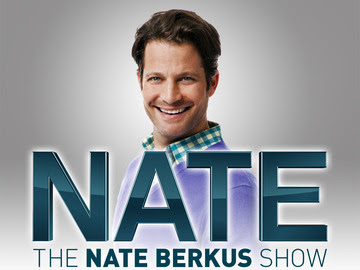 The Nate Berkus Show was not renewed for a third season next year. See the story here. What about you guys? Have you heard the news? My husband [major gossip hound] broke the news to me before Christmas. I'm holding out an irrational hope that maybe, just maybe, he'll show up on Oprah's new OWN network. I'm very sad about this too! I didn't think about the OWN network...I will hold out hope too. I know Shanna!!! I can't believe it, it seemed to be doing so well, I'm hoping for the OWN Network too! How sad! I didn't know that. He's so great. I'm crossing my fingers that he comes back! I'm glad I'm not the only one! Here's hoping he finds a new place for his show.